WeBoost Drive 4G-M Cell Phone Booster Guide | iPhone 5 Features, Apps and Accessories Ranked! If you routinely have dropped calls, but other people near you with the same carrier do not, then it’s very likely that your cell phone is the cause. A dropped call can get extremely frustrating experience for anyone, especially when you are on an important call or have spent time waiting on hold. 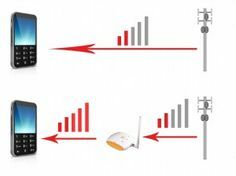 With a little understanding of what causes dropped calls, one can choose to buy cell phone signal boosters. The system basically bypasses the cause of the poor reception and provides amplified signal to the area in need. 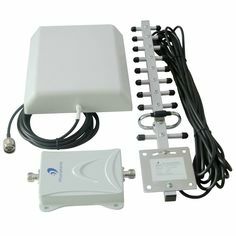 The one constraint for using a cell phone signal booster is that you must be able to place an antenna in an area which has a good signal. 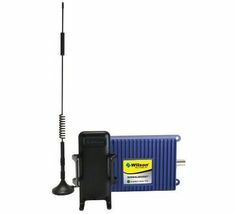 With over 40 years of industry-leading telecom experience, WeBoost by Wilson Electronics has been solving frustrating cell phone reception problems with FCC-certified signal boosters for weak signal areas in the city or remote rural areas. It is easy to install with complete DIY kit. The weBoost 470108 Drive 4G-M amplifies talk & text, 3G and 4G LTE for all major carrier networks except WiMax and iDen. All US carriers (4G LTE & 3G):AT&T, Verizon, Sprint, T-Mobile, US Cellular, Leap Wireless, C Spire, MetroPCS, etc. All Canadian carriers (4G LTE & 3G):Rogers, Bell, Telus, Fido, Wind, etc. Frequencies:700Mhz, 800Mhz, 1900Mhz, and AWS 1700/2100Mhz. Previous PostWarehouse buildings and its intricate design challenges for boosting signalNext PostThe New modern aesthetic SureCall EZ 4G is Now Available! !